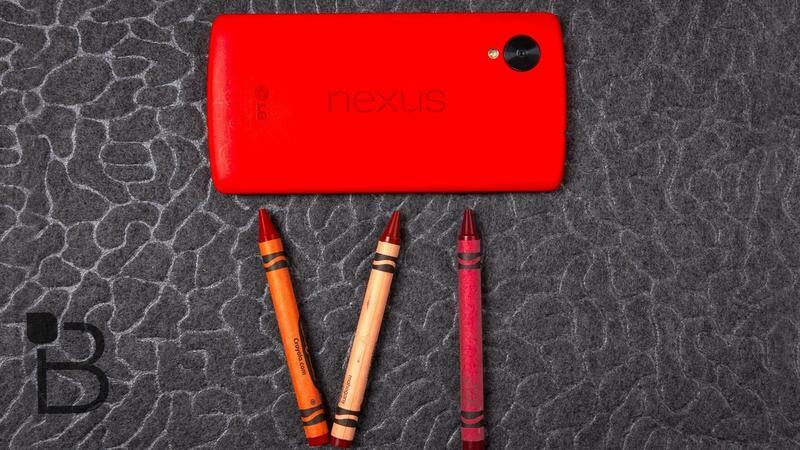 Just about every rumor said Google planned on killing its Nexus lineup. Turns out those reports might not be true. In fact, it sounds like the next Nexus smartphone—probably the Nexus X—could be the best Android device this year. Better than the G3, better than the Note 4; the one phone to rule them all. While there have been some vague rumors over the past month or so, a picture of the device is slowly starting to be painted. It might be made by Motorola, and it might feature some cool technology that was originally introduced with the Moto X. Slap a cheap price on that, high-end specs and a good camera, and you have yourself a contender. Assuming the device does exist, and assuming most of the rumors we have heard are true, here are some of the things we want from Google's next flagship. The price of the current Nexus 5 is already cheap: $349 for the 16GB version, and $399 for the 32GB version. These prices are off-contract, too. If you wanted to buy a device like the LG G3 straight up, you'd be looking at upwards of $600, which is out of range for most people. $349 is right in that impulse buy territory—something you could justify, especially when you're not tied to a two-year deal. But we think Google can do better. The OnePlus One, which came out earlier this year, sports the kind of specs you expect from the biggest flagship devices, but at a fraction of the cost. The 16GB model is just $299, while the 64GB version is $349—the same price as the 16GB Nexus 5. We'd love to see the next Nexus dropped down to match that. Or, at the very least, see the 16GB version at $299 and the 32GB version at $349. The design of the Nexus 5 isn't horrible, but it isn't particularly impressive, either. The soft-touch plastic is comfortable and the overall form factor is terrific. But with devices like the G3, OnePlus One and One (M8) on the market, the Nexus can definitely step it up a notch. Going back to the OnePlus One: the popular device sports similar materials to the Nexus 5, but the OPO has a nice chrome ring around the screen that gives it a high-end feel. The Nexus 5 feels like a toy by comparison. We'd also love to see the volume rocker and power button improved as well—right now they just feel downright cheap. We're not expecting any aluminum body or the introduction of a curved display, but if the device is indeed being made by Motorola, it's likely in good hands (not that LG isn't capable of making a proper Nexus device). The Moto X was expertly designed for what it was, and we'd expect that same attention to detail paid to the upcoming Nexus device. That leads us to perhaps the most important feature of phones today: the camera. In the beginning, the Nexus 5's camera was pretty atrocious; it was the last thing you'd use to snap photos. But through a series of software updates, the camera improved, slowly becoming one of the best on the market. Google still has a long way to go in terms of software and optimizing the camera technology, but the search giant has evolved nicely over the past year, so there will be no excuses when the upcoming Nexus is launched. We've been hearing the next Nexus will sport a 13-megapixel shooter, which is more than enough for the casual user. If Google can up its software game, the next Nexus phone could potentially have one of the strongest cameras around. Of course, we know the upcoming Nexus phone will have better specs. Each year the phone includes upgraded internals, so this one is essentially a given. Aside from the camera, we can probably expect the device to come with a Snapdragon 805 chip and an upgrade to 3GB of RAM. Aside from that, the phone's specs are simply speculative. Would we like to see a 2K display? Sure, but a 1080p would be cheaper. Let's be honest: the jump from 1080p (Samsung's S5) to Quad HD (G3) isn't all that drastic anyway, so we aren't really clamoring for the Nexus to make such a huge jump this year. We would, however, love to see a larger battery—something that can at least match the OnePlus One. Though, with Android L on the way, users are already reporting the Nexus 5's battery has improved tremendously, so a battery upgrade might not even be necessary. Finally, we'd love to see some new software tweaks. With Motorola reportedly involved with the project, we've been hearing that Google is very interested in the company's Active Display and always-listening technology. We'd love to see stuff like that hit the next Nexus device. Even a year later, these are still a few of the coolest features on the market, which is why we regularly mention the Moto X when we talk about flagship devices. We're still not even entirely sure if another Nexus phone is even on the way, but the latest rumors indicate something is definitely in the works. While we'd love to see things like a fingerprint scanner and front-facing speakers, we think these components would be too expensive for a Nexus device, though it would be amazing if Google could pull it off.